Central to the setting is going to be the Spanish Flu; at least a quarter of the British population was affected and over 50 million people died because of it worldwide (228,000 in Britain alone). Even Prime Minister David Lloyd George contracted it but survived. The visual signs of the flu is going to be people coughing and sneezing in addition to overcrowded hospitals. Though there is other things such as theaters, dance halls, churches and other public-gathering places being closed in addition to people wearing anti-germ masks. Carts piled with the flu's victims would also be common. In game terms the flu would be Long-Term Chronic, Majorly Debilitating. Edges and Hindrances could be used to represent immunity (or lack of) to the flu, also considering something like the Fear Levels from Deadlands but adapted for areas of greater or lesser risk of infection. These 'Infection Levels' would determine the penalty on a Vigor roll to contract the flu, the higher the Level the greater the penalty. Hospitals would have the highest, but something like a large park would have a pretty low Infection Level due to lack of people. Anti-germ masks could provide a bonus here. Decided not to go with any references to MI13, instead the characters will be part of a group known as 'Home Office Auxiliaries'. The characters will have been sworn-in as special constables (unless they're already members of the police) to work for the Home Office by investigating and containing the weirdness that is afflicting London in hopes of keeping it under wraps. Though whilst they are likely to face the weird and supernatural, they are just as likely to deal with more mundane affairs. 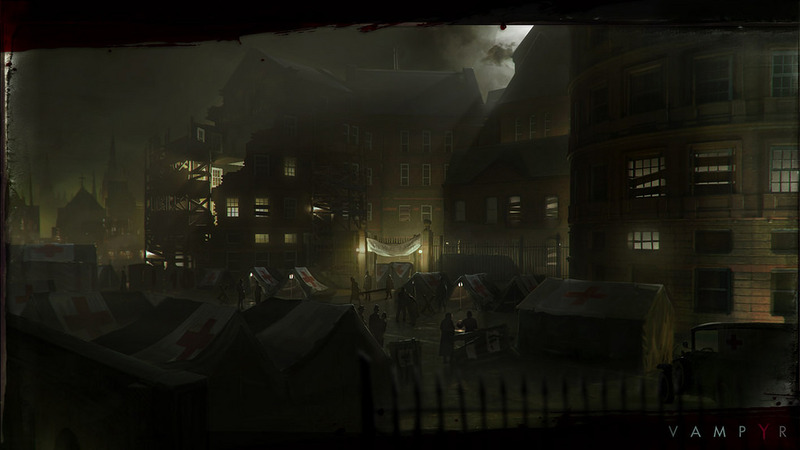 One task the characters could expect to do is being called to a hospital to investigate why the bodies in its morgue are being disturbed, only to discover a warren of ghouls under the building. On the other end of scale, the characters could have to deal with a criminal gang who have been peddling a false 'vaccine' for the flu.